We offer a service that suits you, no job to big nor small. 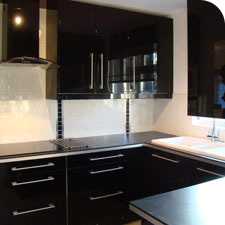 We have over 30 years experience fitting high quality kitchens in and around Bedford. We can offer a complete service (supply, fitting, tiling and appliances) or we can fit a kitchen you have already brought. We are a local company based at Wootton in Bedfordshire and service the surrounding area. We have built an excellent reputation in the area and are confident in providing our customers a professional service. 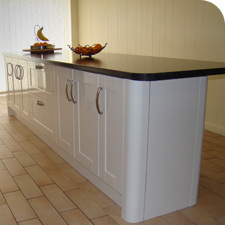 We offer specialist worktop cutting and fitting, without damaging your existing kitchen. So you can have a fantastic new look without refitting your whole kitchen. We offer the same high quality service as we do our kitchen fitting. 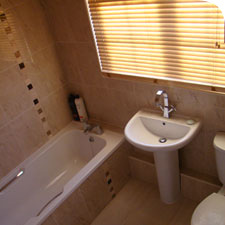 Fitting high-quality cost effective bathrooms in and around Bedford. You do not need to concern yourself with organising subcontractors etc. our tradespeople are Part-P and Gas Safe certified. We offer a local friendly service, fitting high quality, competitively priced kitchens & bathrooms in the Bedford area. Need gas goods fitted? We provide a complete service, the trades people we work with are Gas Safe registered. Please contact us, if you require more information about our trades people. Our trades people are Part P approved.